This photographic rendition is depicting ones true talent bursting inside and out. With the technique of an experimental use of UV-lights and UV make up, the combination of lighting and colors became a true colourful depction of the feelings creative students feel like inside. That's why the theme is named 'show your true colors'. This photoshoot is part of an identity for an annual awards show called Diamond Awards, which is about students coming to find their own shape from being diamonds in the rough. It's held every year to celebrate the end of a year for the students at Noroff School of Technology and Digital Media. And each year the awards show has a new theme. The promotional imagery is meant to speak directly to the target group and make them feel like part of the celebration also by having students posing as models. The concept, bodypaint design, art direction and photography has been developed by Charlotte Olsen, makeup by Elisabeth Mainy, lights by Andreas Lie and modeling by Houssam Laouaar and Sol Engbakken. For Halloween Olsen & Oslo designed some funny monster candy boxes to send out as giveaways for potential clients and friends. 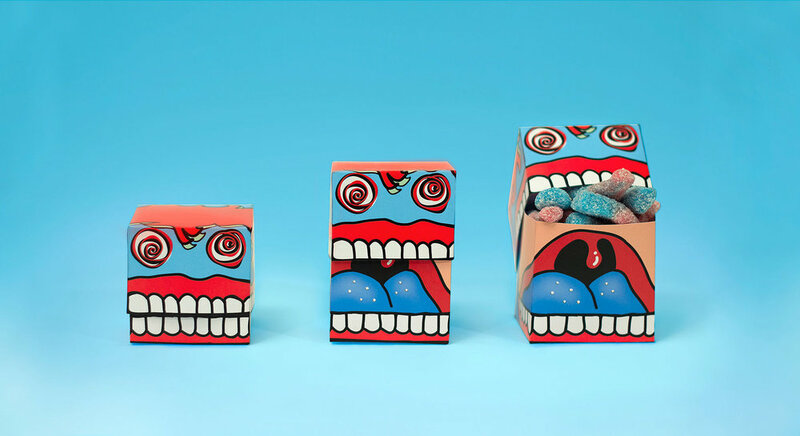 To catch peoples attention and give them a good laugh she thought it would look funny making these little candy monster gift boxes look like they've literally eaten themselves to death with candy is bursting through what looks like a gaping monster mouth. OBOS forsikring (insurance provider) was an client in need of some new ideas for developing better interaction design and user friendliness. Olsen & Oslo did some thorough user research using both qualitative and quantitative research methods to get as close to meeting both the needs of the client and user. The project was topped off with some crisp graphic design using eye catching colour coding and easy to spot icons and navigation. Charlotte wanted to stick out as a job seeker and make something fun and eye catching to show her personality and her own original style as a designer. This is how she solved the problem. -Who doesn't like chocolate? She's listed her skills as how she would be to work with as a designer on the back of the wrapper in the ingredients list, along with her contact info and a fun twist with a "Best Before" box that says "Before someone else snaps me up", like a wordplay at the same time as in snapping up a chocolate bar. 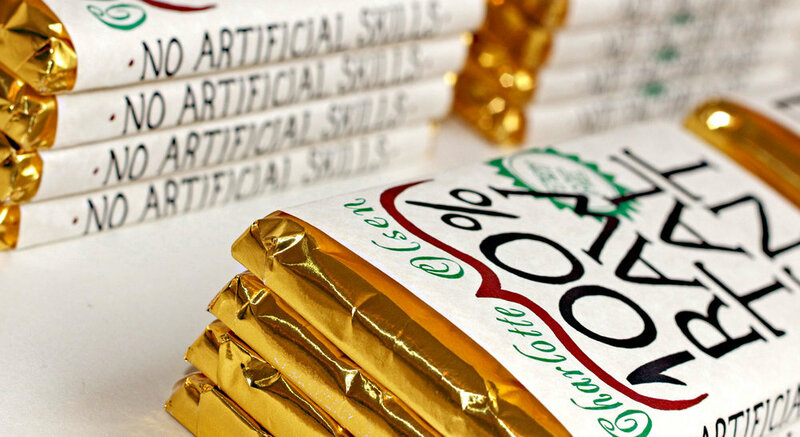 The front of the wrapper says " Charlotte Olsen: 100% RAW TALENT", and on the sides of the wrapper it says "No artificial skills" and "Not factory made", therefore she chose to print on a textured paper to make it look more "Raw" and natural. 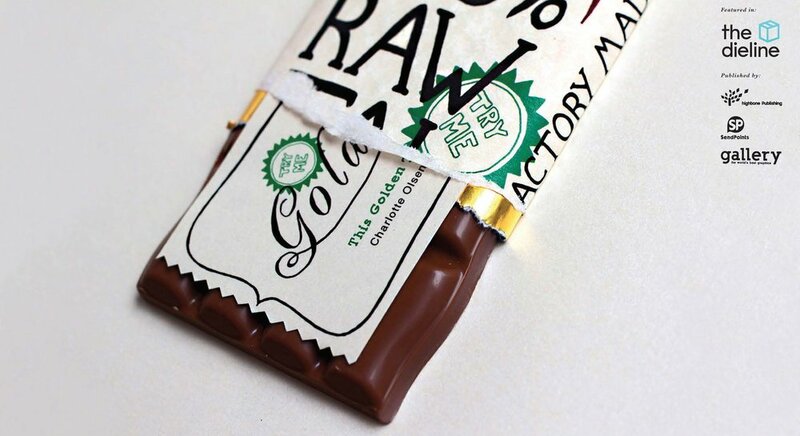 Under the wrapper she put a Golden Ticket that gives anyone "snapping her up" 10% off her hours. Want to know if it worked? Ask her! 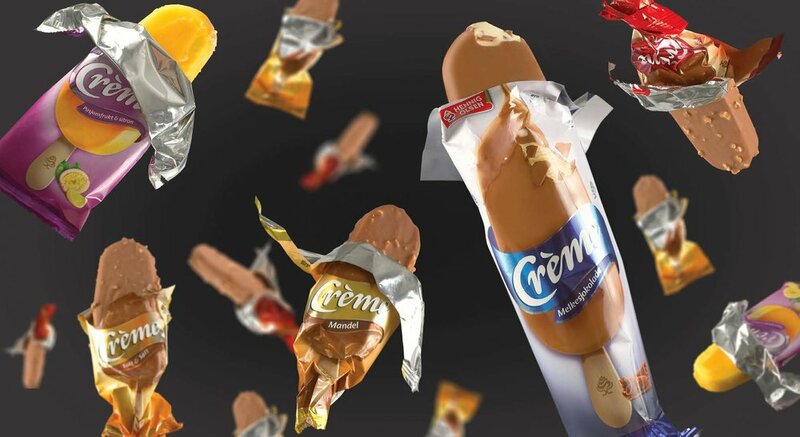 One of Norway’s classic ice-cream brands Crème, went through a major face lift in 2014. The design transformation has been made with regards to the traditions and brand values of Hennig-Olsen ice cream factory. Charlotte was design lead and responsible for developing the concept and the design. 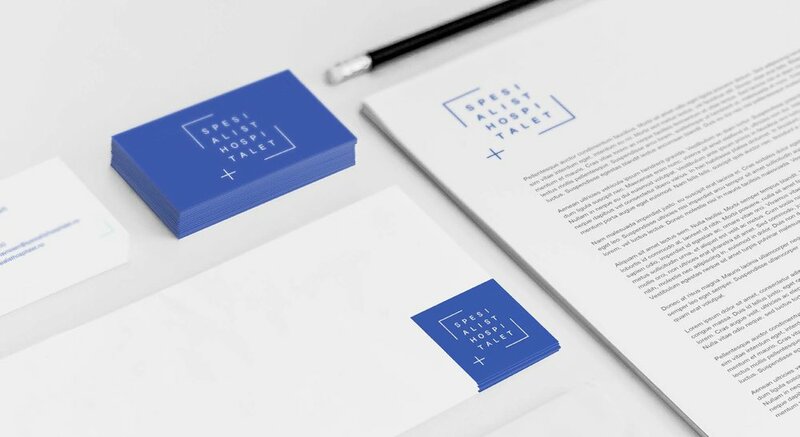 Olsen & Oslo has developed the new Identity and branding for a completely new private hospital that will open near the Oslo airport Gardermoen in 2018. The logo symbolizes a window to hope. 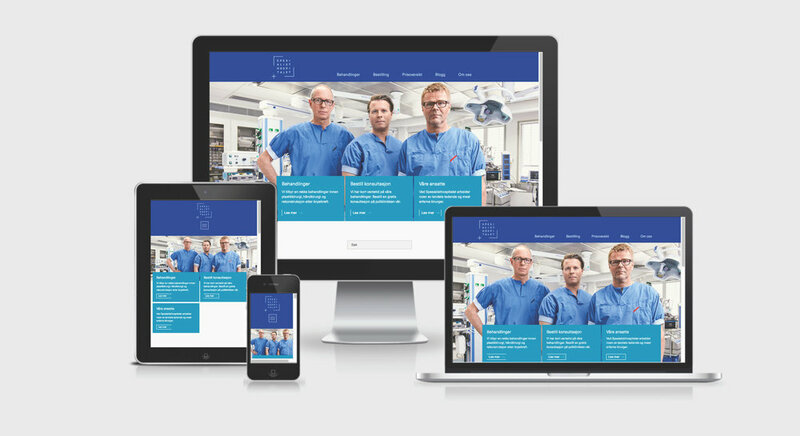 The bright blue color palette shows a modern and edgy yet trustworthy new institution with only the highest quality in medical care. 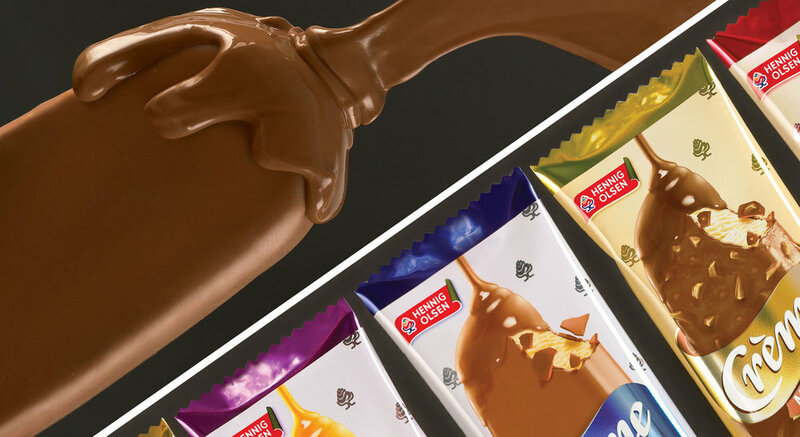 Japp has been one of the most popular chocolates in the FMCG category and in many ways can be compared as Norway's equivalent to the iconic Mars bar! Hennig-Olsen ice cream factory decided to re-launch the ice cream version of Japp after many fans of the Japp ice cream bar wanted it back. 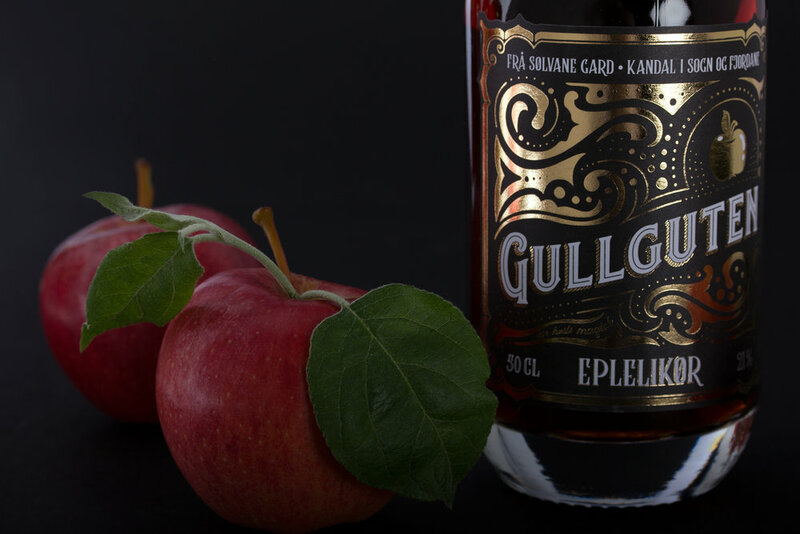 Hennig-Olsen listened to the consumers wishes and in 2014 it re-launched with a new and fresh design. Design for Hennig-Olsen ice cream factory's 'Herlighet'. 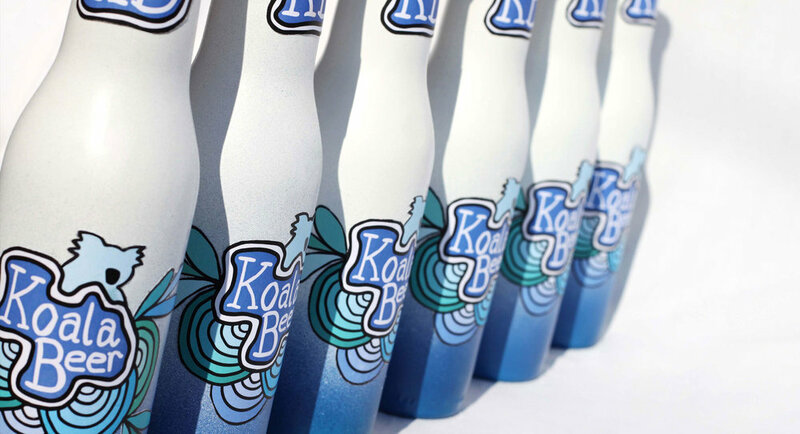 Charlotte was responsible for the design as well as the art direction for the over all organizing of this project. This is a typical ice cream cake which is very common to enjoy at any social occasion in Norway. 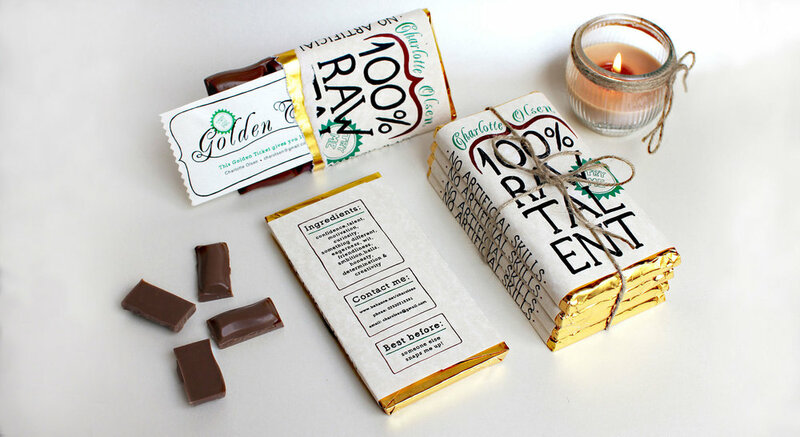 She wanted the cake's packaging to look as rich and indulgent as possible therefore using a deep color palette. She's worked closely with the photographer and food stylist to get just the right look for the cake. 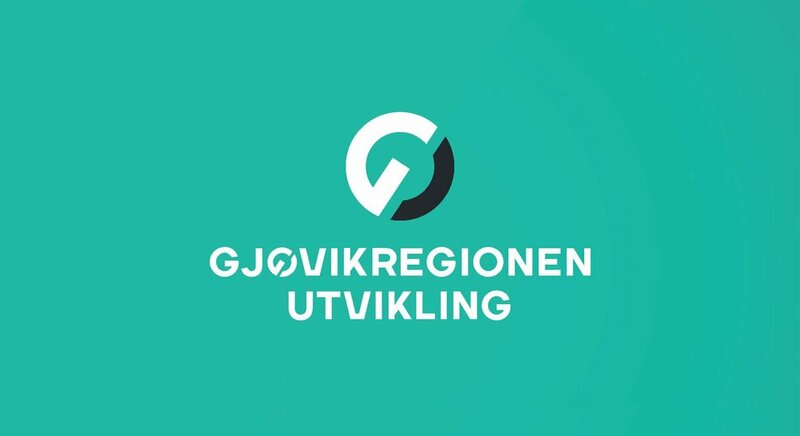 Gjøvikregionen is a region in the mid east of Norway best known for their farming and rockabilly musicians. Olsen & Oslo has developed a brand new Profile and Identity for the region that will help to shed some lights on many of the other great offers this region has to offer. Like tech developement and education.